Need a little breakfast inspiration? 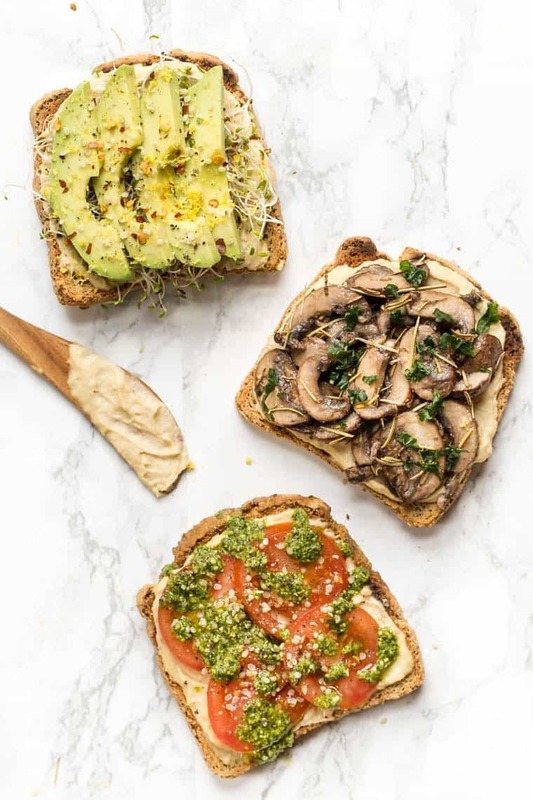 Try one of these Healthy Hummus Toast recipes! With four different flavors, there's something for everyone to love! 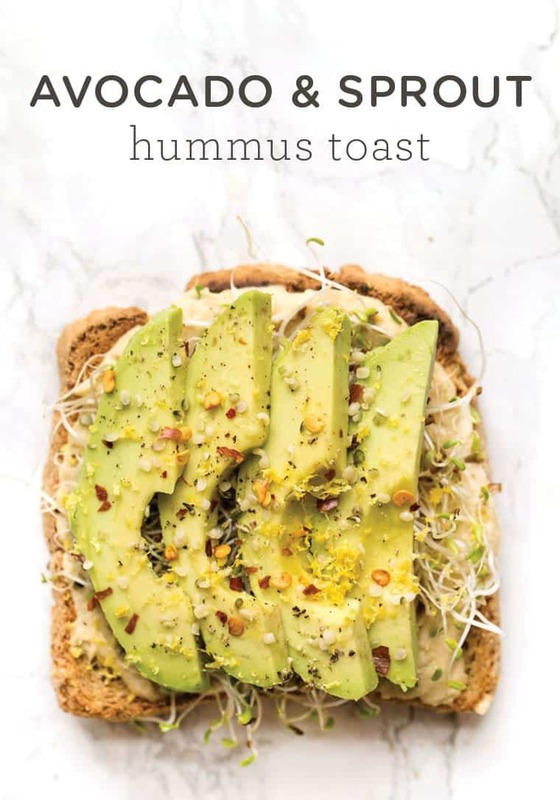 Move over avocado toast, there's a new breakfast toast in town that I'm totally enamored with: hummus toast! For me, hummus has almost always been a food I eat for lunch or dinner. I'll put a dollop on my salads, use it in salad dressing, use it as a spread for burgers, or even put it on my pizza! And of course, hummus is also one of my most favorite snacks ever. But breakfast? Wasn't something I ever considered! Sweet or Savory: What's Better? Typically, I'm a sweet for breakfast person. I love my smoothie bowls of course, but I also adore pancakes, waffles, oatmeal, and toast smeared with homemade nutella and sliced fruit. So I decided to try my hand at a new kind of toast that swaps the based of mashed avocado and replaces it with hummus. You know what I discovered? Only the most delicious breakfast ever! I think having an arsenal of healthy breakfast recipes that are both sweet and some that are savory, is the way to go. It'll keep you excited and you know you'll always have something to turn to, no matter what you're craving! I was about to write, “the great thing about hummus is…” when I realized there are actually a million great things about hummus. Hummus has become a staple in my fridge and is a huge help for those of us on a plant-based diet. It's high in protein. Hummus is a quick and easy way to get some healthy plant-based protein into your meal. 1/4 cup of hummus contains 4g of protein and 2g of fiber! The possibilities are endless. Classic hummus can be jazzed up any number of ways. 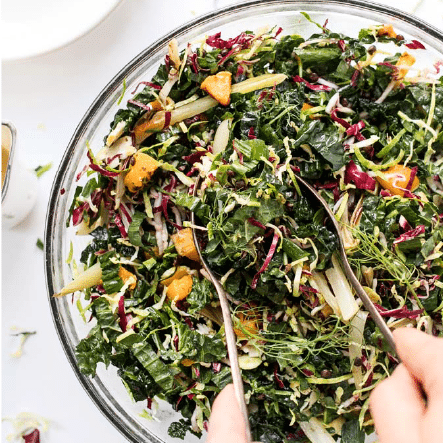 It's a fairly simple flavor, and as you'll see in a minute, it can go both savory and sweet! Choose your flavor! And to go along with that, hummus comes in a TON of different flavors. From basil pesto to taco-inspired, caramelized onion and more. You can use a different flavor each day of the week and not get bored! It's accessible. These days you can pretty much find hummus at all major grocery stores. My favorite brand, Sabra, is available nationwide and can even be found in airports and convenience stores! So really, there's no reason not to LOVE hummus! 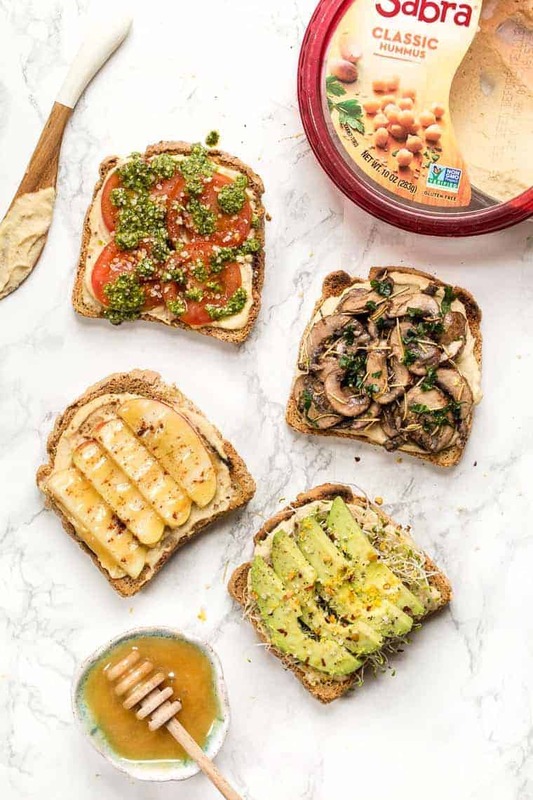 The simplest way I have found to enjoy hummus in the morning is by spreading it on some toast and topping it with whatever I feel like. 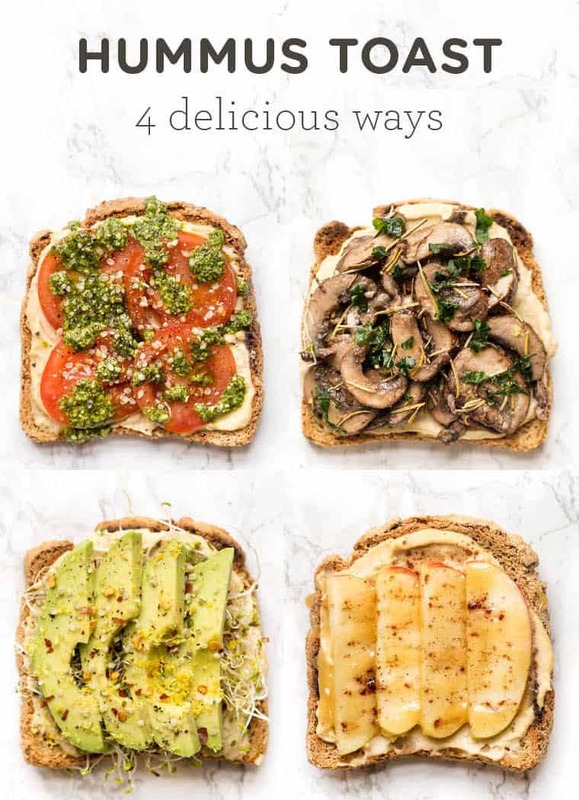 I wanted to give you some toasty inspiration, so below you'll find my four favorite hummus toast recipes. We've got three savory ones and one sweet option. It might not seem like it now, but hummus + honey actually go SO well together. YUM! 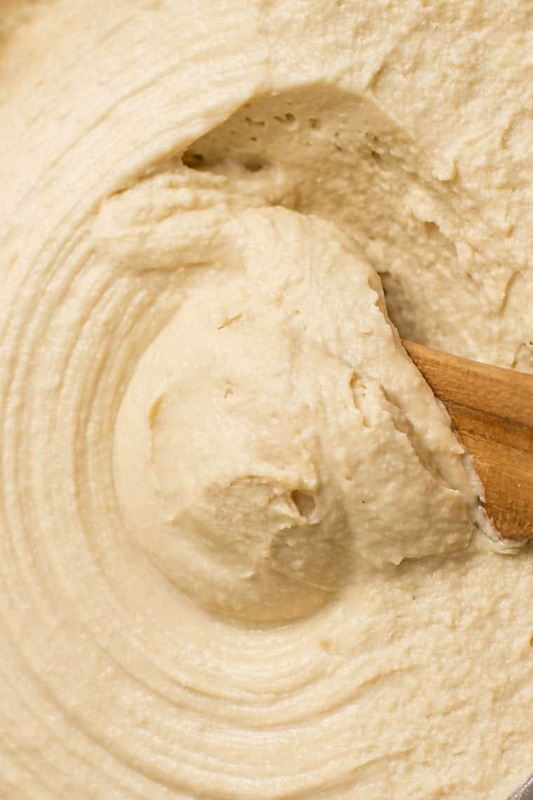 For our hummus base, we're using Sabra's Classic Hummus. This is their most popular flavor, is most widely distributed and is a staple that I always have on hand. 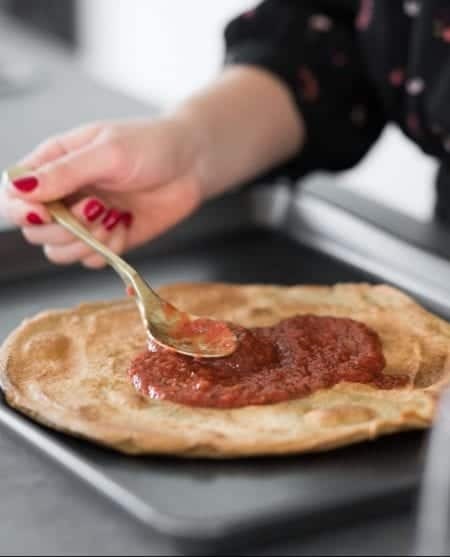 It goes well with everything and is the perfect vehicle for all sorts of flavors (as you'll see!). 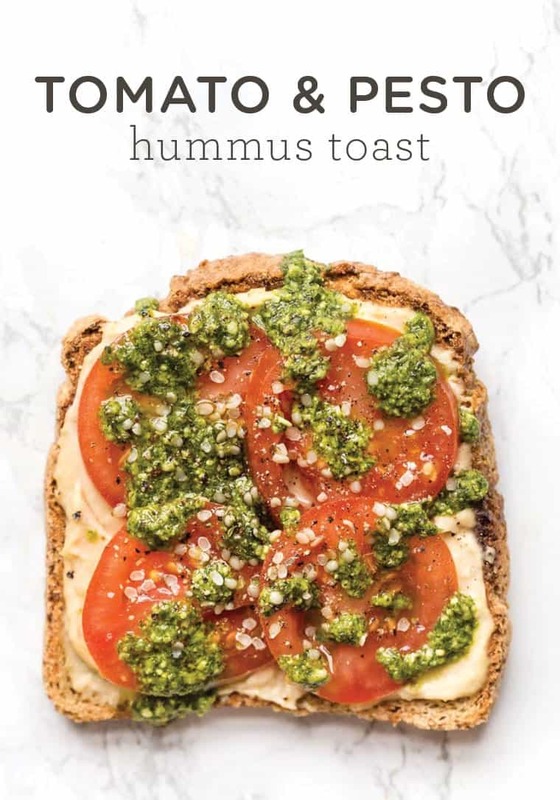 Slather the toast with hummus. Top with sliced tomato and drizzle with pesto. 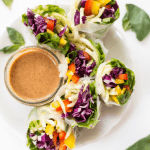 Garnish with cracked pepper and hemp seeds. Heat the olive oil over medium heat. Once hot, add the mushrooms and saute for 2 – 3 minutes. As the mushrooms start to soften, sprinkle with garlic, rosemary, and salt. Continue cooking until mushrooms are completely soft. Strain off any liquid. 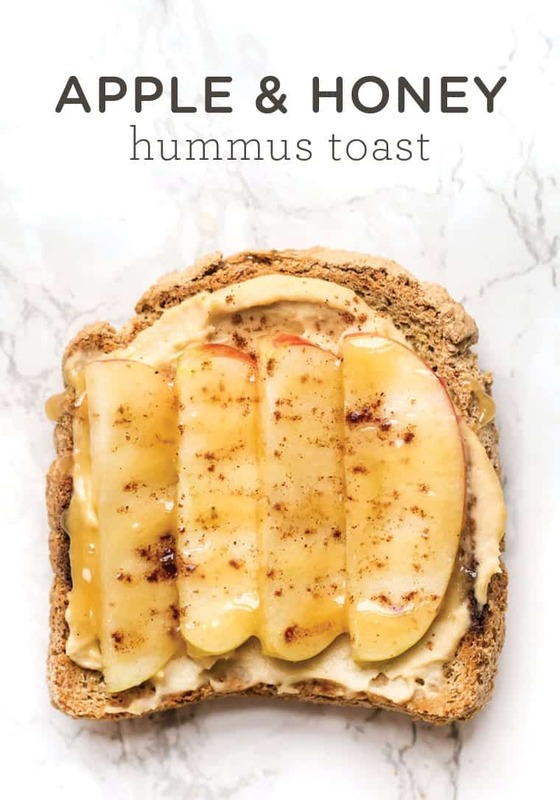 For the toast, slather the bread with hummus. Top with the warm mushrooms and garnish with cracked pepper and herbs. 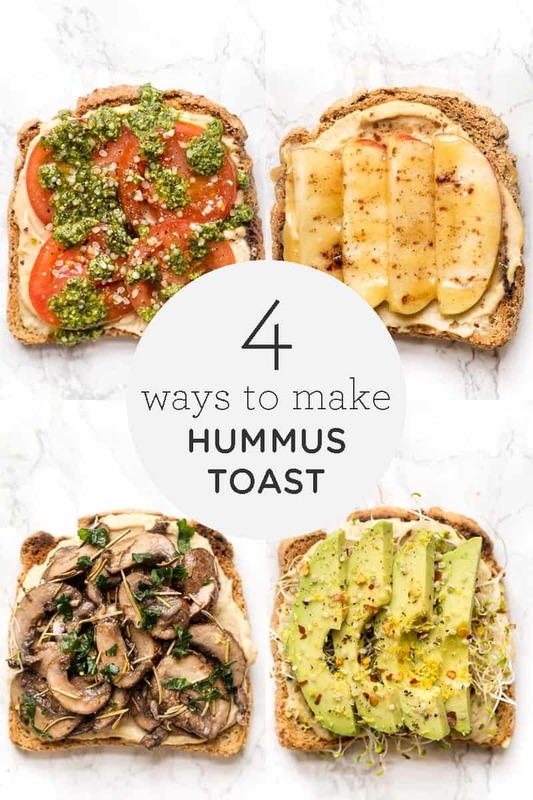 Slather the toast with hummus. Top with the sprouts and sliced avocado. Garnish with hemp seeds, pepper flakes and lemon zest. 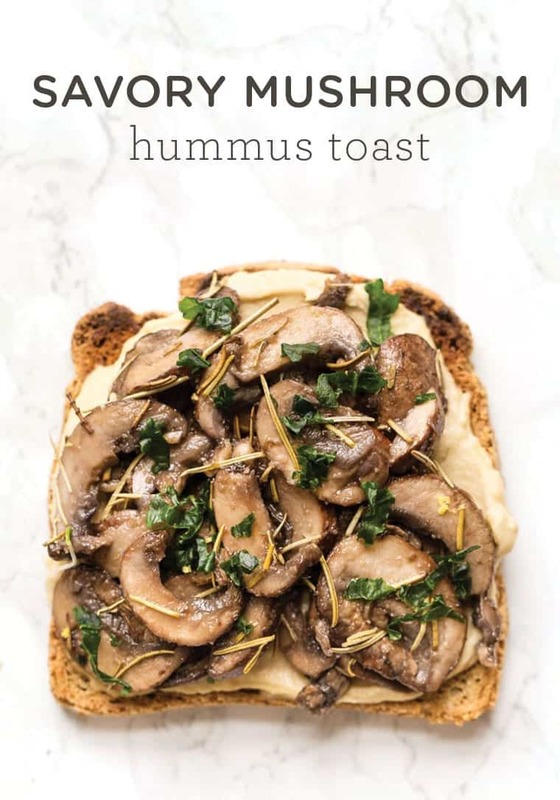 Slather the toast with hummus. Top with the sliced apple and drizzle with honey. Garnish with a pinch of cinnamon. 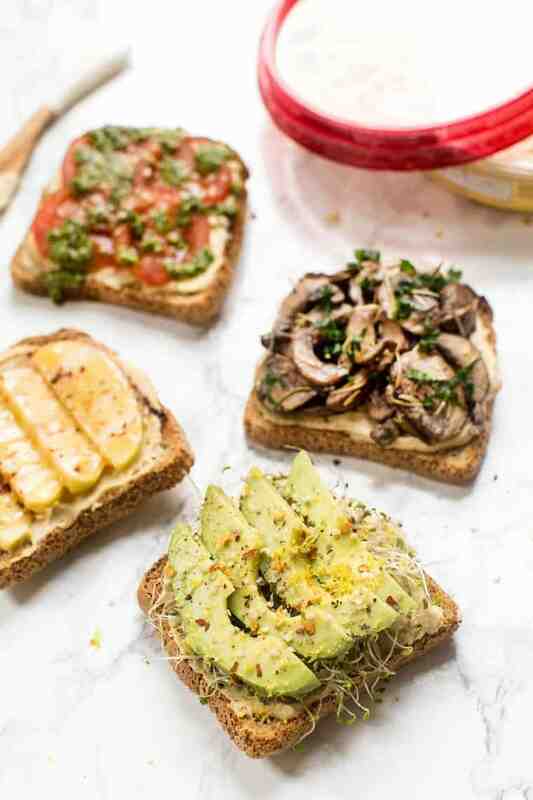 How would you top your hummus toast? 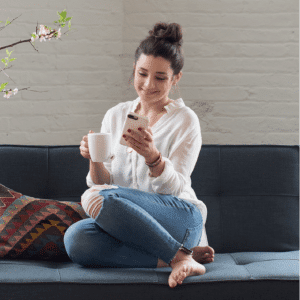 Share with us below!